Posted: Sat Apr 12, 2014 4:04 pm Post subject: My first package is working! While my hive-building skills are not all that great (the bees are using an alternative entrance that I didn't realize was there! 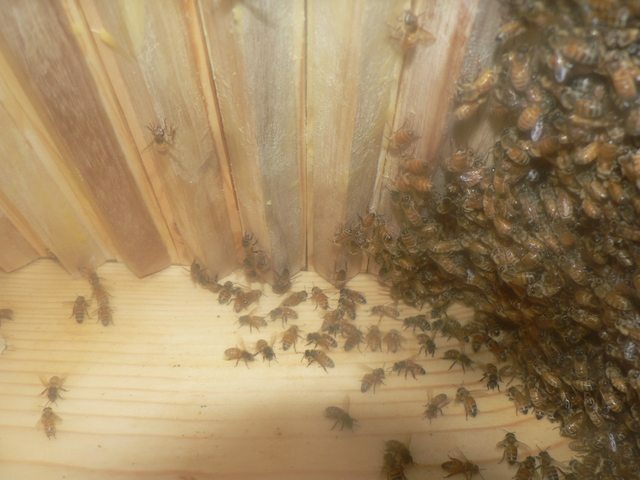 ), today was the day to check the queen cage -- I found the queen was NOT in her cage (yay! ), and one of the top bars had fresh honeycomb about 3" across and 4" down (I didn't take a picture because it was still so fresh that it was bending as I lifted the bar). 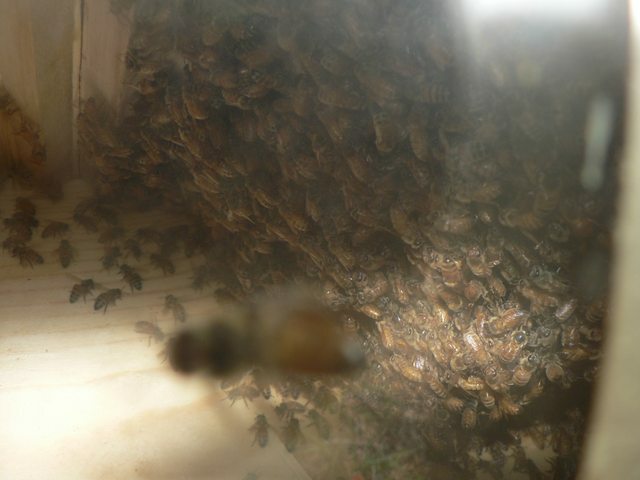 I didn't actually see the queen -- but I think given that workers were actively hanging in that long beard shape, there was fresh comb, a steady quiet buzz, and activity in and out of their entrance that all is well. 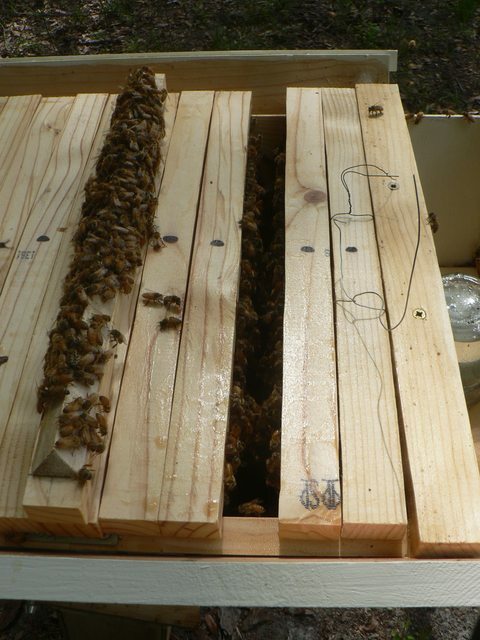 Now, except for filling the feeder, I will leave them alone for a while, check comb building through window. I haven't seen the bees on the flowers in the yard, though. I think it's because they are busy making comb -- until that's underway, there isn't anyplace to store nectar and pollen, so they are mostly eating at the feeding station and turning that energy immediately into comb building. Does that sound right?